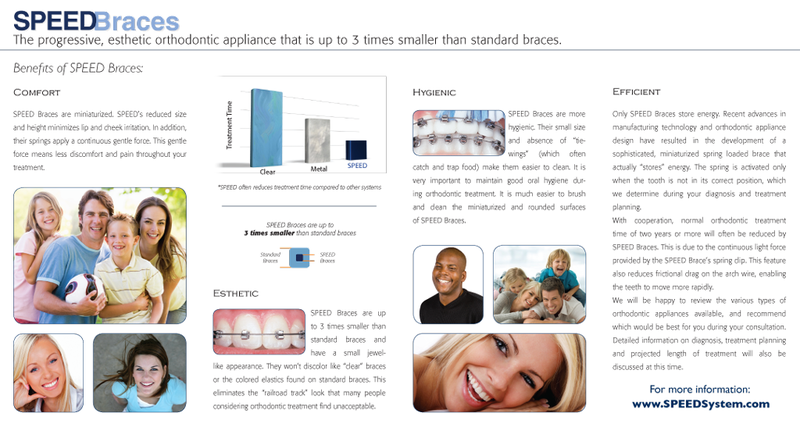 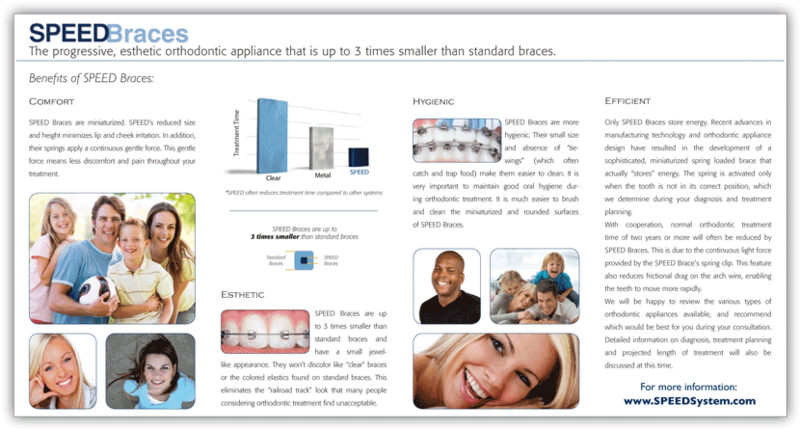 SPEED System™ Orthodontics offers a variety of patient education brochures that illustrate the benefits of orthodontic treatment with the SPEED System™ in easily understandable terms. 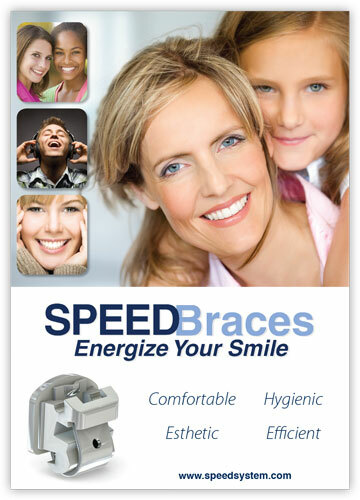 These are available to SPEED Users "free of charge" in a variety of languages and designs. 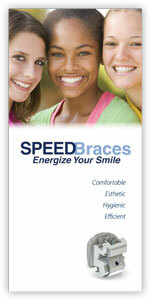 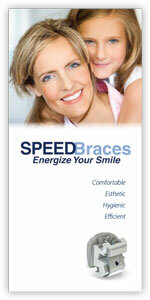 SPEED System™ Orthodontics has created 2 unique posters for use in your practice. 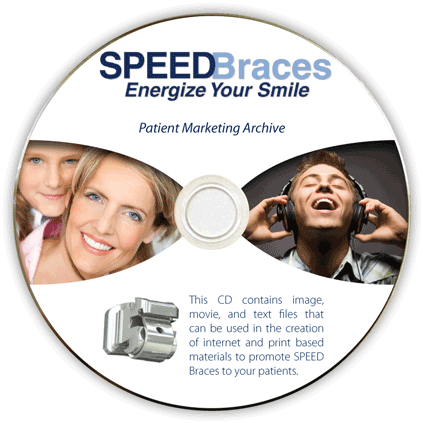 We are pleased to offer our customers a CD based archive of SPEED images, movies, and text files which can be used in the creation of internet and print based materials to promote SPEED Braces to your patients. 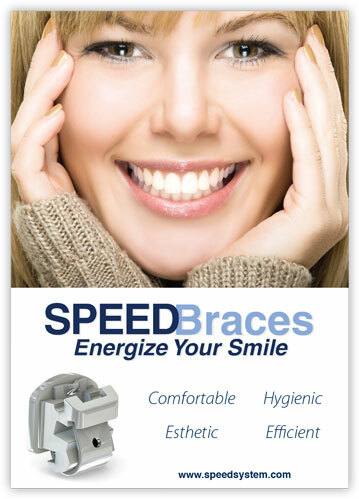 SPEED Study Models are the perfect complement to your consultation room. 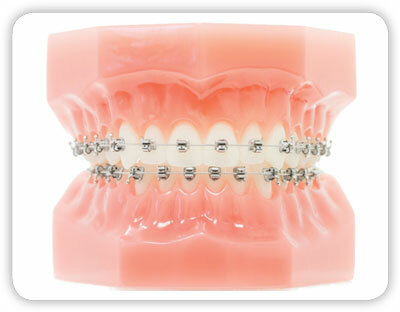 These two tone Orthodontic Class I Ideal study models are pre-bonded with SPEED Brackets and are a valuable tool for explaining appliance and treatment basics to current and potential patients.